Dion has taken the fight for humanity's environmental future to Mr. Harper. Mr. Dion proposes a tax-neutral green shift: taxing things we don't want - pollution - and reducing taxes we on things we want - income and investment. 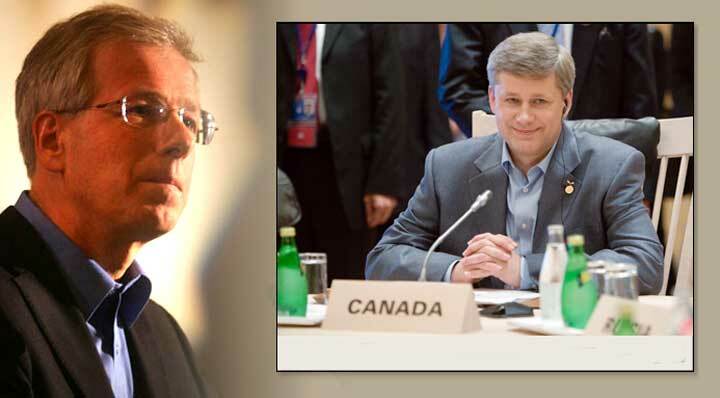 Mr. Harper counters and accuses Mr. Dion of trying to "screw" Canadians. So, what do the facts say about the government's approach to tax-shifting and environmental management? The Harper government enacted a tax-shift in its first year of government; his conservative government shifted tax reduction from the GST to tax increases for lower income tax brackets. The Harper Government also enacted major tax spending shifts. All federal climate initiatives were cancelled and savings principally shift to the military. On the environment, former minister Rona Ambrose removed nearly 25,000 suspected toxic chemical from scientific scrutiny. And, under Minister Baird, Kyoto was cancelled in fact though not in spin, Environment Canada scientists were eliminated, and intensity targets were introduced that allow unlimited burning of carbon resources. Under Minister Lunn, nuclear environment safety was ignored until at a world-wide medical crises erupted. And last week, mining and processing companies are now to be free to dump their waste in a new list of fresh-water lakes. Fact, the Harper government tax-shifted, and his government shifted spending away from environmental protection. Fact, rhetoric and character assassination has been the forte of the Harper government. Mr. Dion is directly challenging Mr. Harper and demanding debate. Mr. Dion is proposing a constructive, mature, alternative to character assassination and the denuding of sound environmental management. He proposes a tax-neutral green shift.